Firefighters have have closed Trafford Road in Salford southbound after a hotel sign came dangerously close to falling off a building. 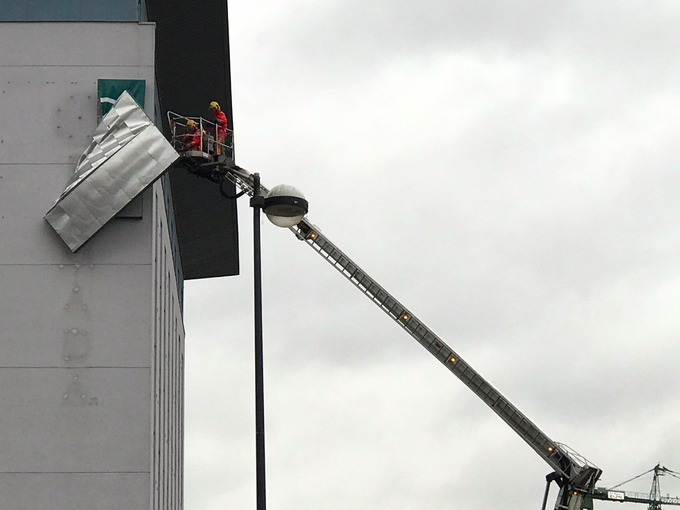 Greater Manchester Fire & Rescue service closed the road after a sign on the side of the AC Hotel became partly detached, possibly due to high winds. Firefighters are currently working to remove the sign safely. The incident comes after a severe weather warning was issued for Manchester, with heavy rain and winds of 50mph on the way. This article was written for ITV Granada.